This scalloped card base was cut at 5-1/2" using Cricut Cartridge Birthday Bash cartridge. I love the little scallops along the edge. Love the card feature on this cartridge - it is the hidden gem here!! The tree outline with the bird and moon is cut from Cricut Lite Celebrate with Flourish cartridge at 3-1/4". Don't you LOVE this new SEI Spooks paper set? It's so glittery and metallic! All paper but the background cardstock are from this Spooks paper set. Cardstock is from Core'dinations. I always LOVE putting some paper on the inside of the card - just to dress it up a little! Ribbon is from Papertrey Ink. I popdotted the center section to give a little ummpph. Stamp is from this month's Close to My Heart monthly stamp set. Tune in tomorrow for more Halloween fun with new SEI paper and iron-ons! Also, if you're getting in the Christmas spirit, head over to Everyday Cricut to see some of our best Christmas projects from last year! Great card...I just love all the cards you design! I agree...the papers great! great card and great paper!! Fantastic card, I am a big fan of the SEI paper. You are so creative, you blog is great. Thanks for all the ideals that you have shared with all of us. That is some yummy paper! That card feature is a huge plus in my book! Oh I love this, the paper is just beautiful. Very cute! Love the papers! I love all of the different patterned papers that you used. They work so well together. This card is so cute! I love it! And those SEI papers are so yummy!!! Joy... I just love everything you do! I have Celebrate with Flourish and didn't even notice that cut! Thanks for sharing! This is such a perfect Halloween card--not evil, yet a little eerie! Fabulous! I am loving the Halloween inspiration! Love that card. I am a huge fan of SEI -- they have some really cute papers this season. I love this card and paper.. I really like the elements of this card--enough interest, but yet, not too busy. Nice! really love the card Joy, thanks woohoo so much fun always here. Love the colors and the card come out just beautiful love it!!! I really love this card Joy! The colors and the cut are great. I've had a spooky tree on my mind all week just didn't know what to do with it. Love it! Gotta have this cartridge. The cards keep getting better and better. TFS!!! I love this card! Halloween is my favorite holiday! Thanks for the inspiration! I love this card! The colors are awesome and I love how you combined all of the pattern paper together! I love the inside also! I just love Halloween! This is such a great card. Love this card--the paper designs and colors. Really like all the mats you used. Really cool card! The layout is great and the paper is awesome! The paper inside is a very nice touch. Great card, I love that tree, I so wish I could get that cartridge! TFS! I love the paper you used !! Great halloween card!! 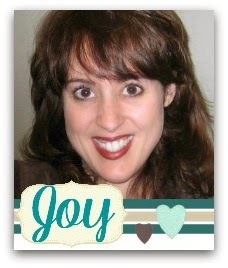 I am SO in love with your card, Joy! WOW! I need Birthday Bash asap! LOL! Love love love it! Soooo goolish! Love it. TFS. I love making halloween cards. Yours are too cute. Thanks for the inspiration!! what a super cute halloween card - and all made without a halloween cart! awesome and very creative! Fantastic card! You amaze me with your ideas and also the carts that you use. Really had no idea that these two carts could be used to create such wonderful halloween cards. Thanks so much! Very cute Halloween card Joy! The papers are intriguing! Just love the paper and love the design! Great job, as always! Love the tree, bird, and moon! Have to have this cart, now, too! Colors and treatment -- awesome, as always! This is a really cute card! Spookilicious...thanks so much for sharinga. I love this card. The papers are gorgeous and the way you mixed them really adds an eye-catching flare to it. I really like how you put this together. Great card. Such a cute card! Great paper! Just got that Lite cartridge so now I have a great idea to use it. Thanks. Love your card! The papers are gorgeous! Love the tree from CWF, I've got to get this cart. great card! the papers look so great. LOVE it. Thanks for all the work you do for us. Love the card. The choice of papers is perfect. Cool card! I love the layers and the papers! I love the papers and the lay out of the card. Fabulous card! I'm going to have to rethink that cartridge! Great card! Love the paper. You are blowing me away with these awesome cards! I love this one! the colorful Halloween paper by SEI. Oh my favorite holiday! And I love the paper...Looks excellent Joy! Ijust love this shape from CWF. I just got this cartridge and have used it quite a bit already. I soooooo think you did a fab job on this card. Just love the patterned paper:) and I also loved how much detail it add to the inside of the card. Joy, I am new to the Blog world. Didn't know what I was missing. Thanks for mentioning us NEWBIES and your patience. I will definitely visit your Blog often. Thanks! Great work. Love the tree, I would of never thought of putting white behind it to make it stand out. Great card, beautiful die cut and those papers are gorgeous. What great papers! I love the idea of using that tree and bird and doing it in black makes it very "Halloweeny"! Love it that we can make so many designs for our cards! Fabulous Halloween card! I linked to it from today's scrapbook news at http://exm.nr/br6X83 :) Enjoy your day! Joy, just love your halloween card. I LOVE Halloween done with class...awesome card!